just upgraded the spring in my SR25 to a M120 and wondered if the current motor in it will be able to handle the power of the new spring? 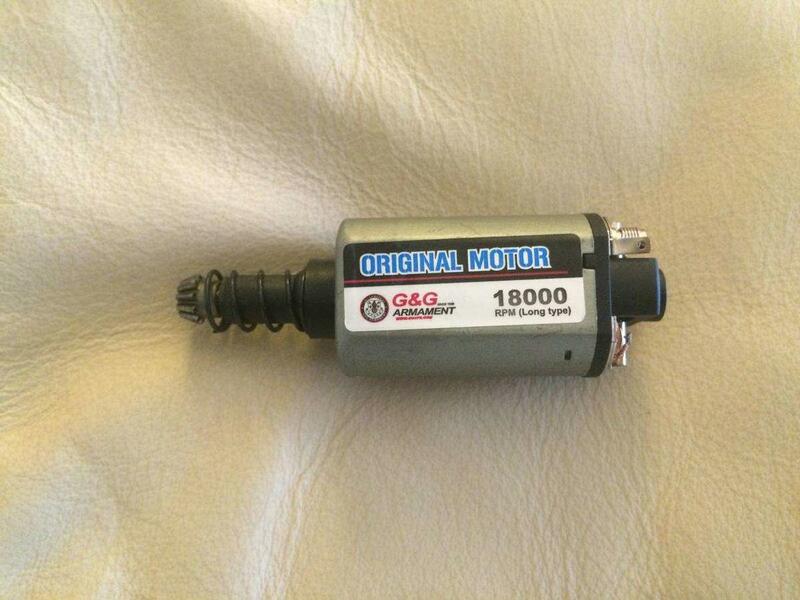 Its an original G&G motor 18000 RPM (Long Type). Will i need to upgrade this or is it good enough to do the job? ive attached pics of the motor for reference. try it and see? It will almost certainly be noticably slower though. Something like a SHS Hi-torque motor would probably be a better bet though. I had that same motor in my L85. Pretty poor rof if I'm honest. I replaced it with a lonex a2 which kicks arse and doubled the rate of fire. Cost me about £50. It seems to cycling fine, not to worried about the ROF atm as the SR25 only has semi-auto anyway. Will probably upgrade it in due course down to reliability but will so how it goes. Any suggestions apart from the above on decent motors? Do not just shove in a neodym motor and connect up a 11.1v lipo - ffs !!!!! 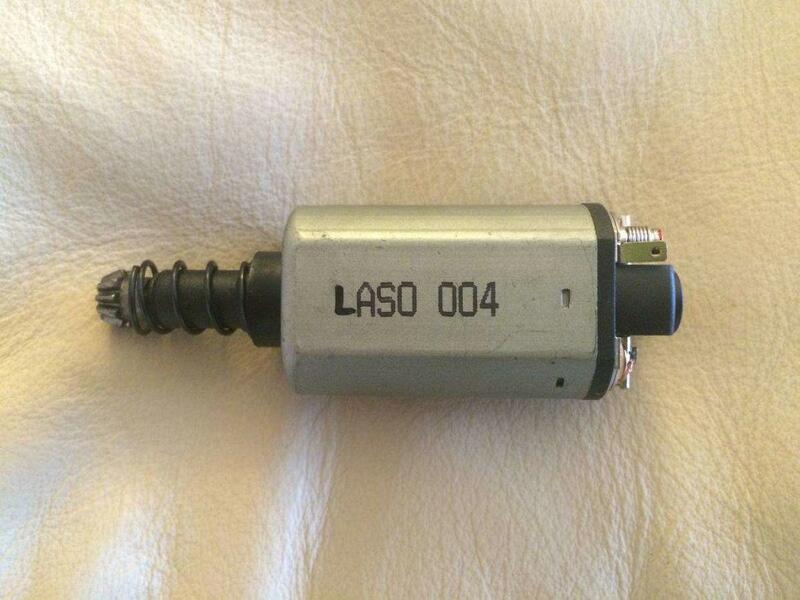 I strongly advise that when fitting a beefier motor the owner tests with a 7.4v lipo first !!!! OOOOoooohhh this great - BANG !!!!!!!! It can but rof will be sluggish. Buy an shs high torque motor, best motor for your money.